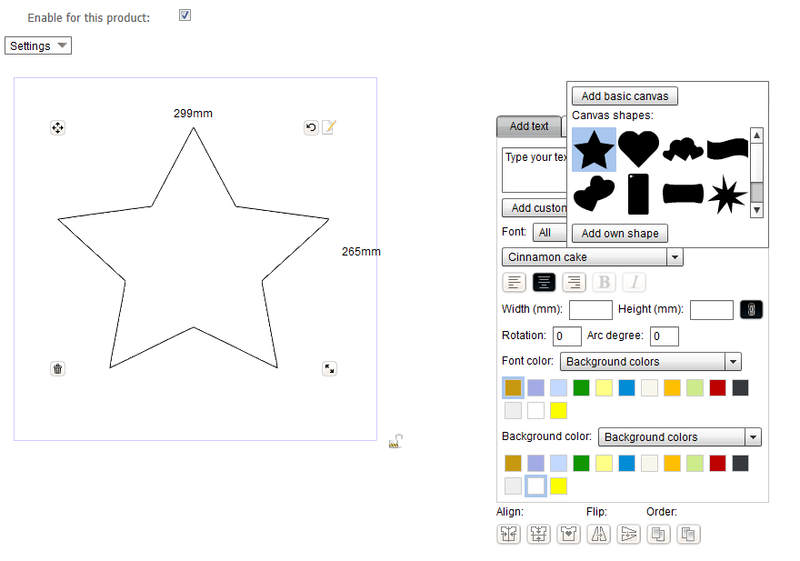 Please try Product designer software, it includes all Sticker designer software features. 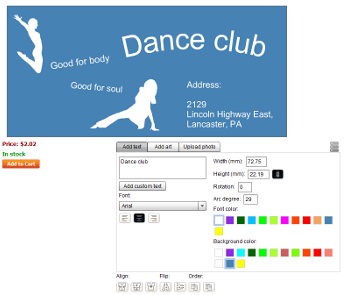 Sticker designer software is a ready-to-use solution for everybody who would like to build an online store and give clients a possibility to make custom stickers such as car/bike stickers, fun stickers, bottle labels, etc. 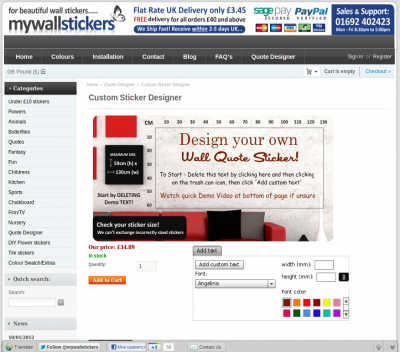 With Sticker designer software you can start, administrate and extend your Sticker Online Store business with comfort and ease. 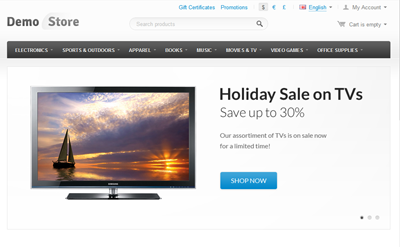 One-time purchase, no recurring fees. 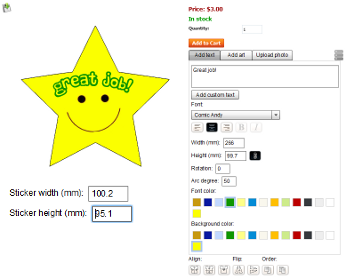 We will be glad to help you start your online store business with online Sticker designer software, don't hesitate to contact us if you have any questions. Cars Deco website based on CS-Cart shopping cart system offers a nice collection of predefined car stickers/decals for sale and gives customers a great possibility to create their own car stickers. 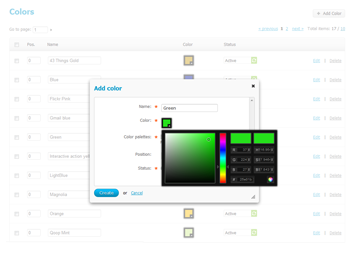 Customization possibility is provided by our Product designer add-on. 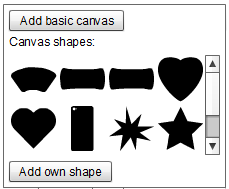 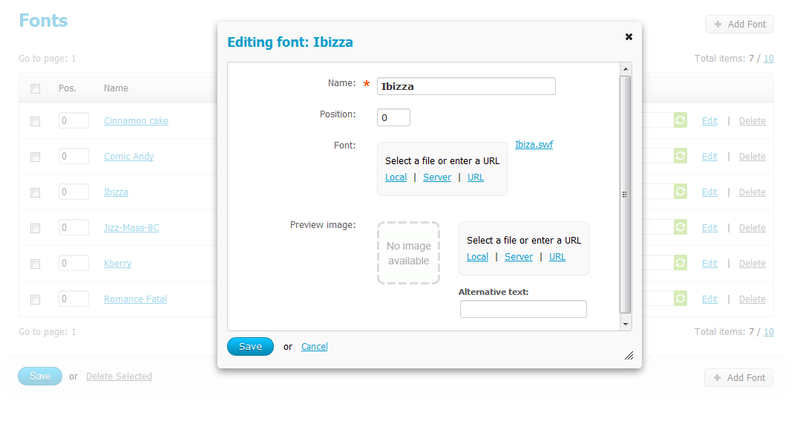 Customers can add/edit their own text, choose/edit cliparts from the gallery. 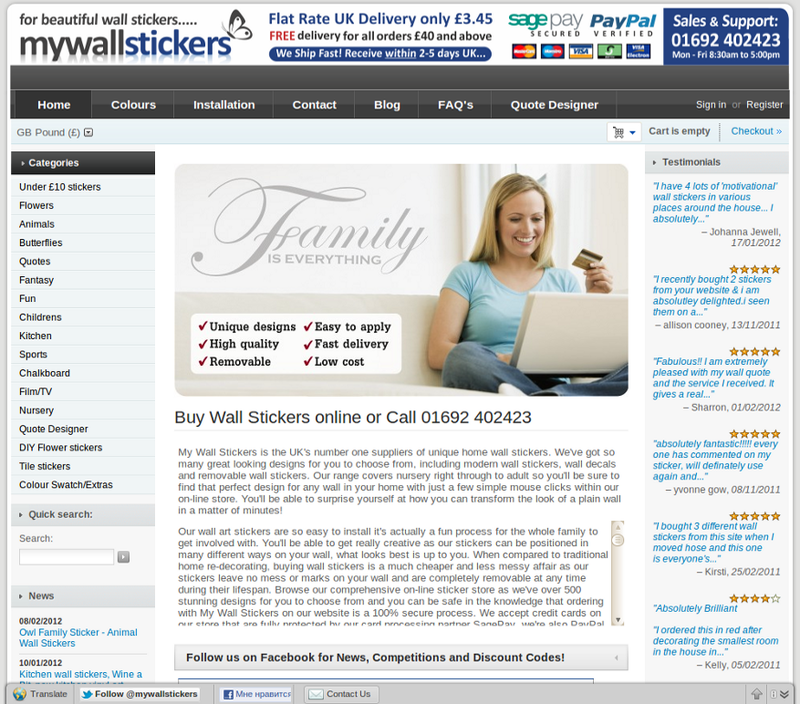 My Wall Stickers is the UK supplier of unique home wall stickers. 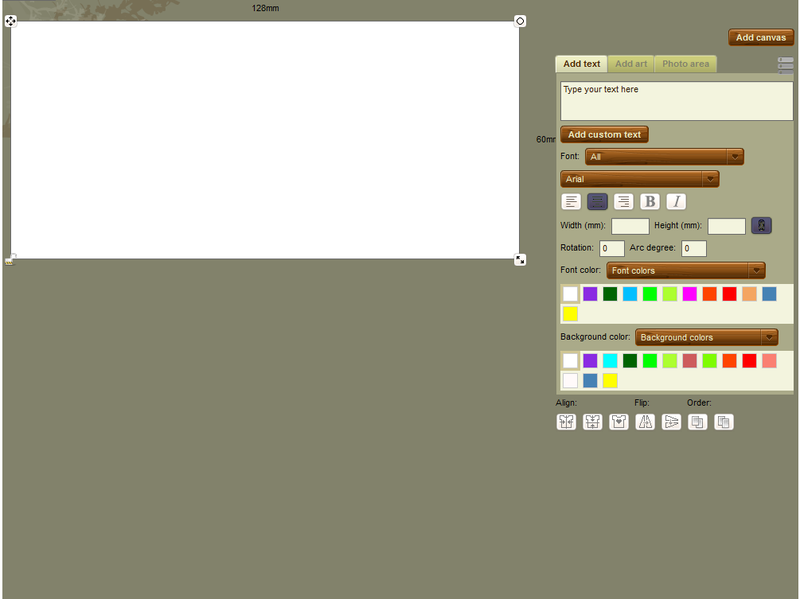 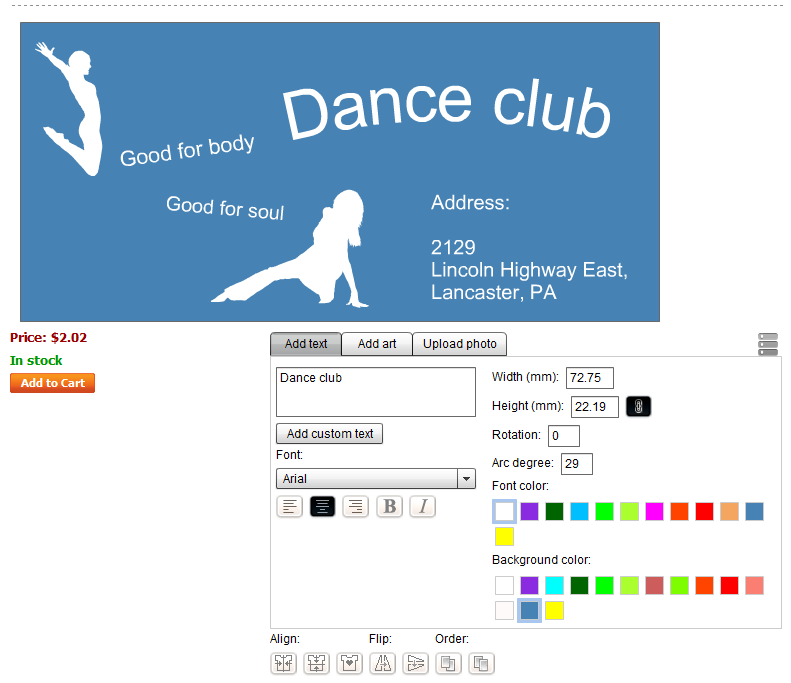 The site allows customers to design their own stickers by adding custom text, choosing text size, font and color. 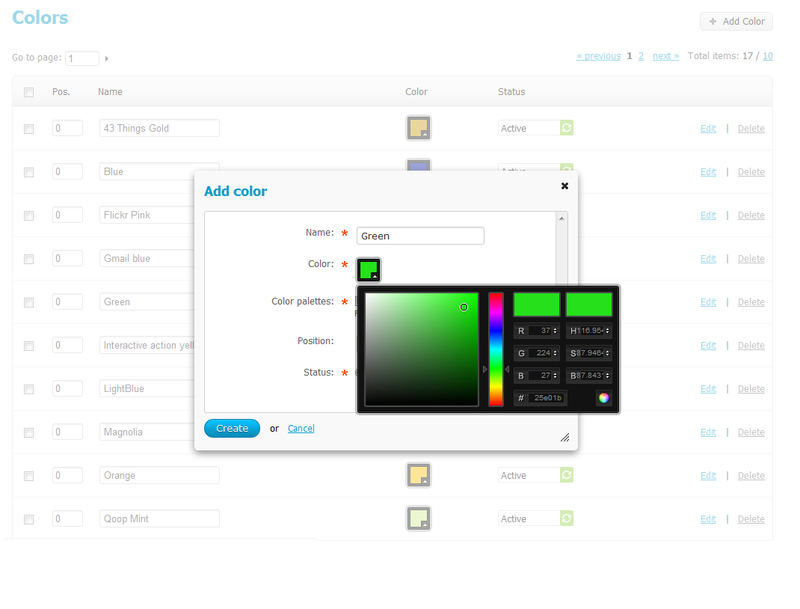 This functionality is provided by Alt-team Product designer module. 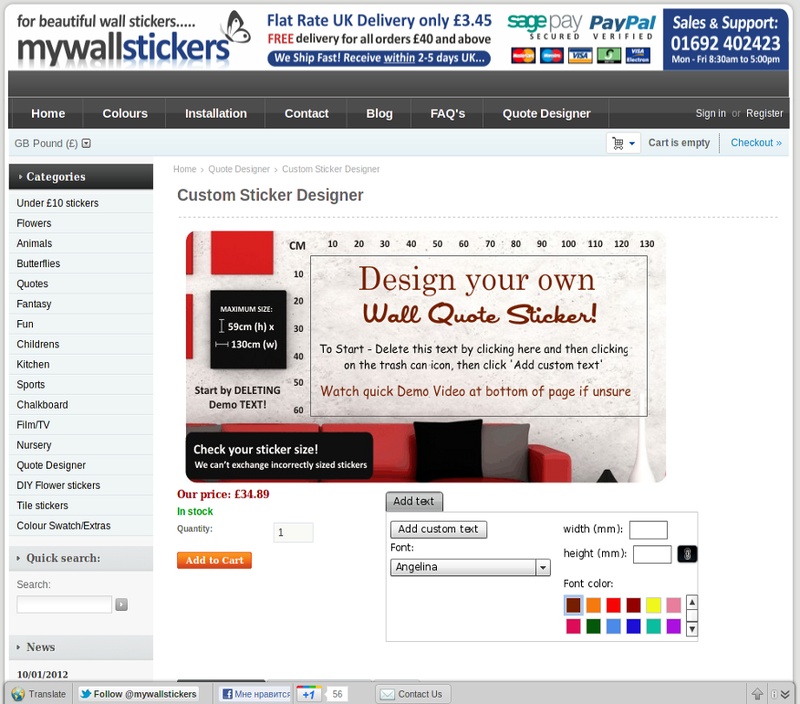 What is Sticker designer software? 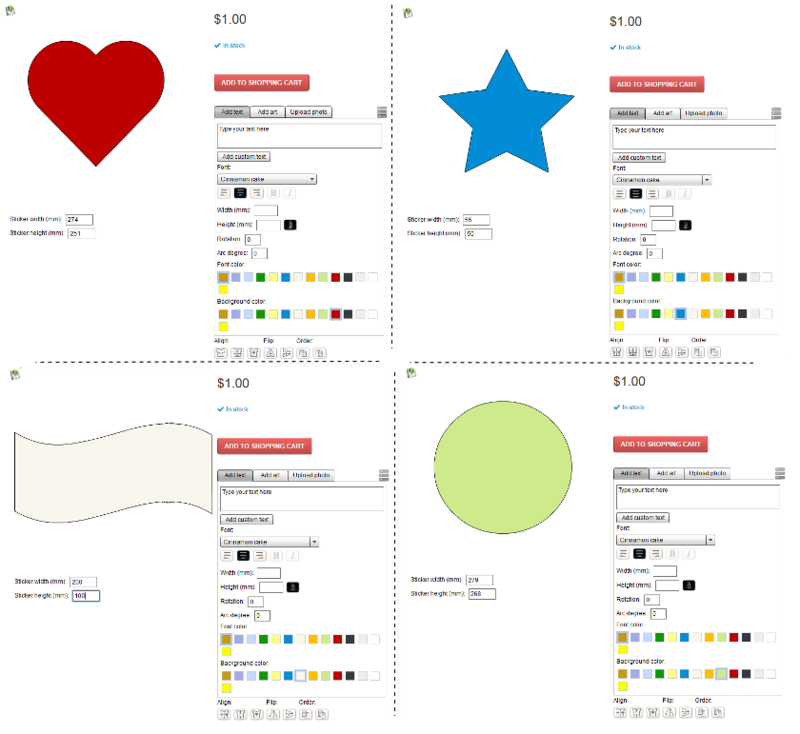 What is the difference between Product designer software and Sticker designer software? 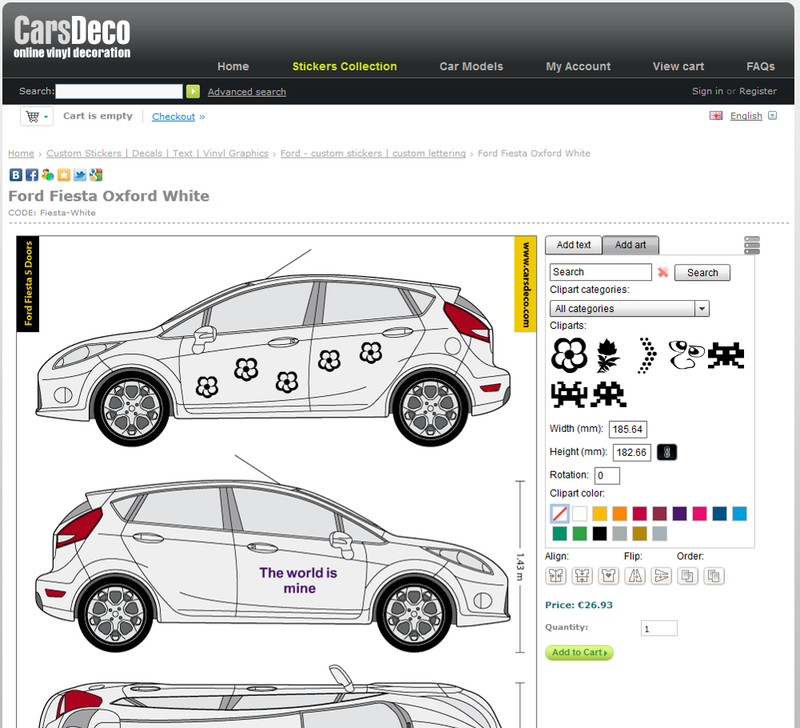 How will I pay for my Sticker designer software? 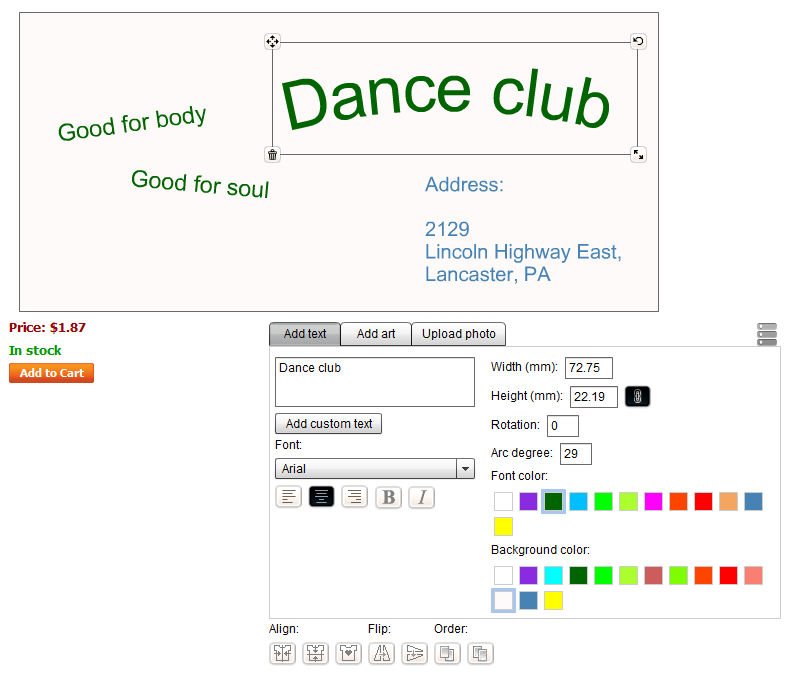 What does Sticker designer software fee include? 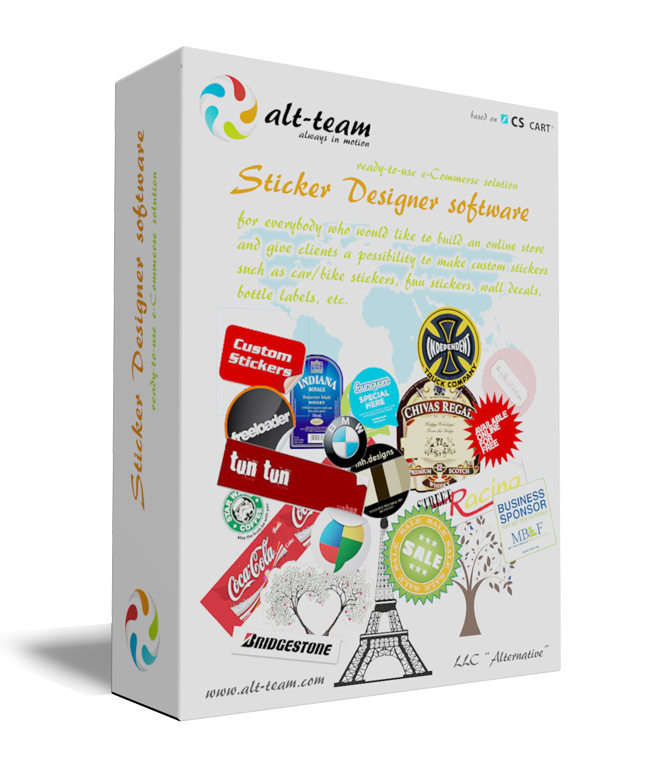 What is Sticker designer software License Agreement? Will I pay for Sticker designer software upgrades? 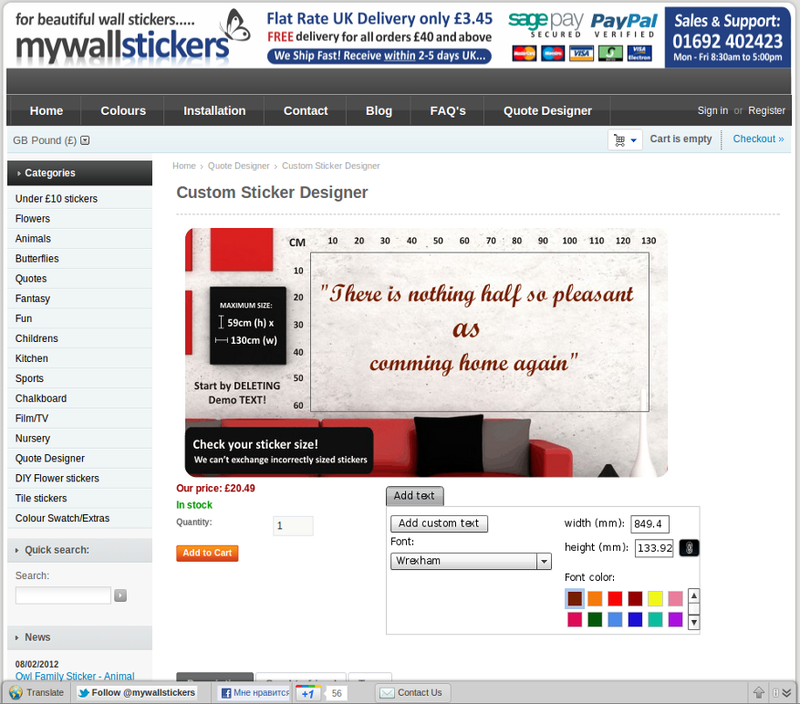 What are the server requirements for Sticker designer software installation? 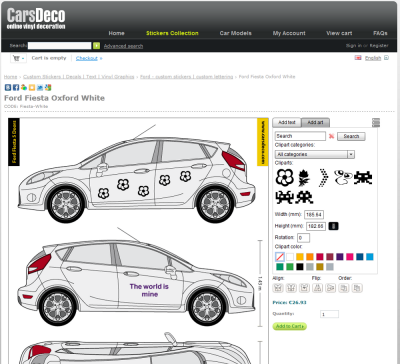 Can Sticker designer software be customized to my business needs? Sticker designer software is a package which includes powerful CS-Cart shopping cart ecommerce system with Sticker design tool developed by Alt-team. 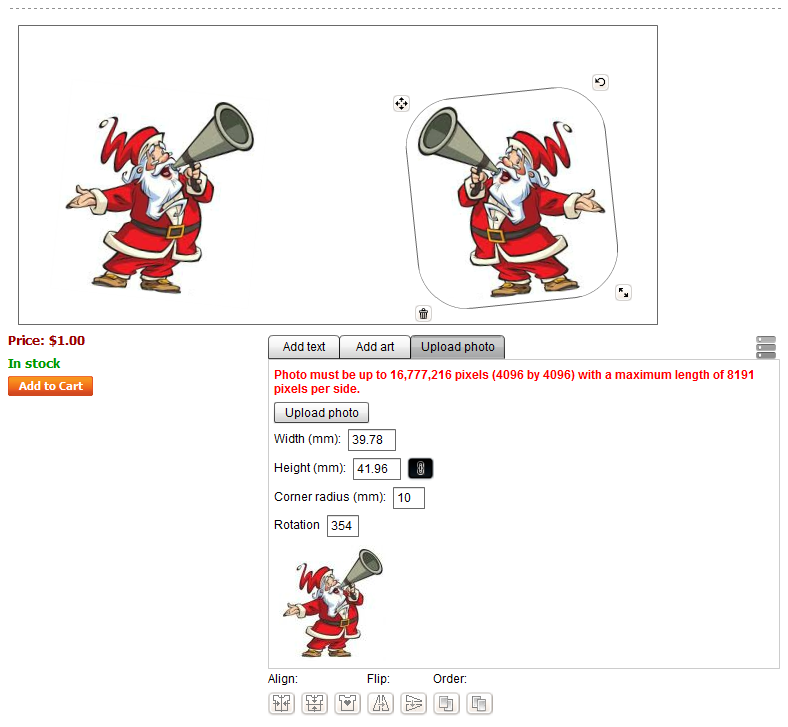 It is a ready-to-use solution to open an online store with possibility for customers to personalize various types of stickers. 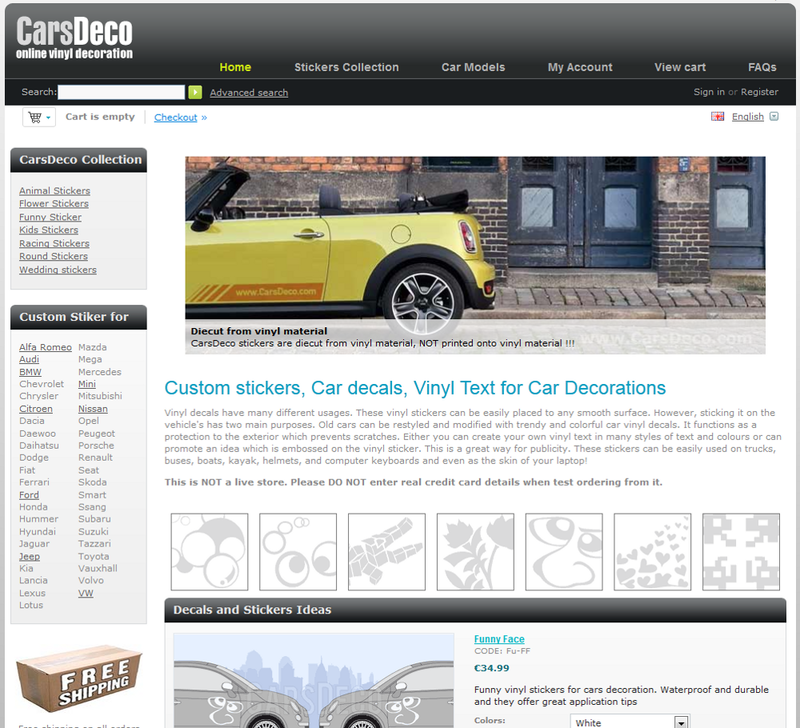 By purchasing Sticker designer software you get CS-Cart shopping cart platform with all available features and all features of Sticker design tool. 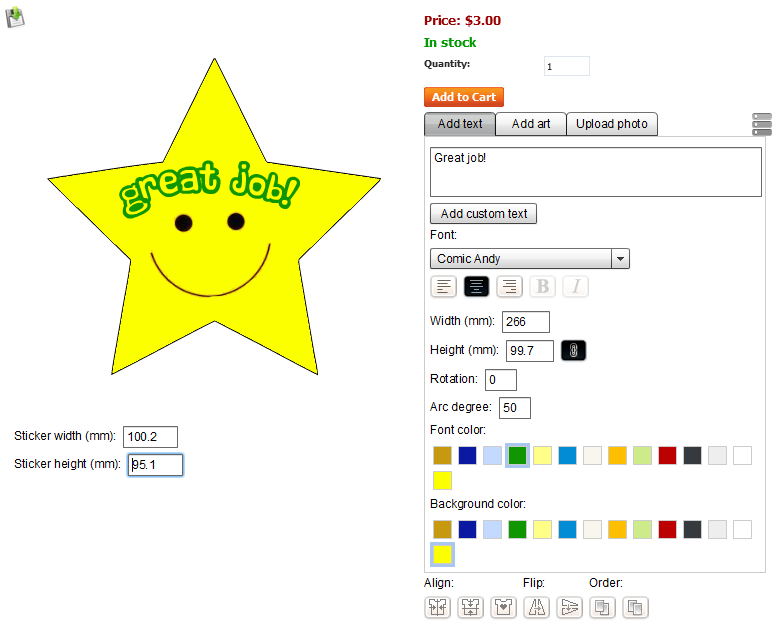 Both Product designer software and Sticker designer software are based on powerful CS-Cart shopping cart system with large number of features, but Product designer software include four-mode flash Product designer tool, each mode allows to customize different types of products: T-shirt designer mode for all apparel types, bags, mugs, buttons; Sticker designer mode for vinyl graphics, lettering and printing; Engraving mode for creating custom engravings; Fixed mode for customizing products with fixed text or image position. 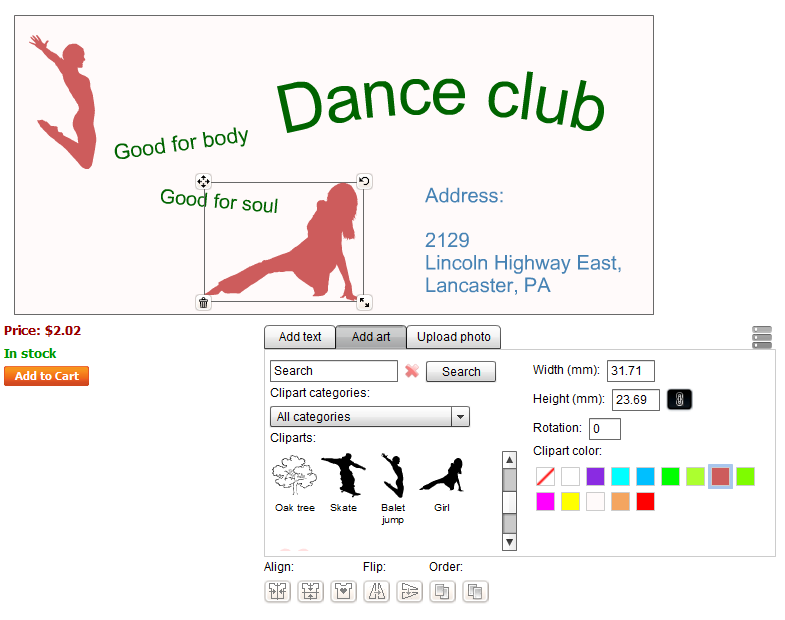 Sticker designer software is a simpler version of Product designer software including only Sticker designer mode. You pay Sticker designer software fee only one time and get the right to use this software for all your life on only one domain name. 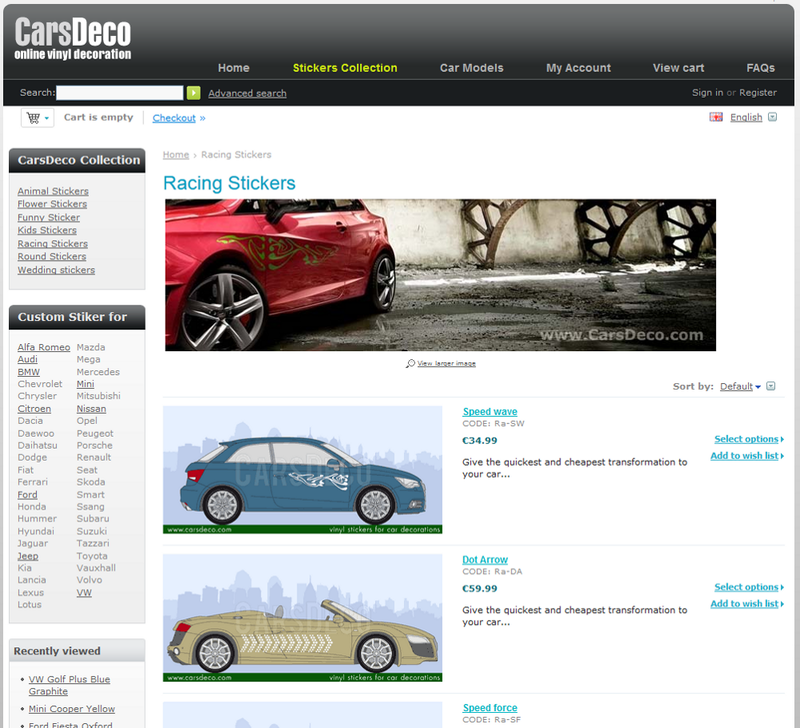 Also you get one year of free CS-Cart updates and upgrades and one year access to new versions of Sticker design tool starting from the date of purchase. 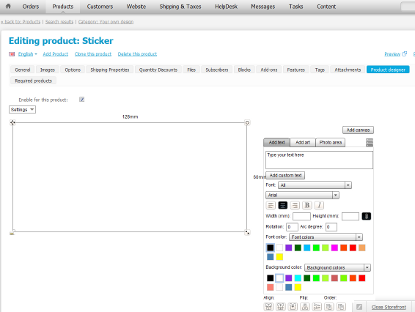 There is not a single License agreement for Sticker designer software. 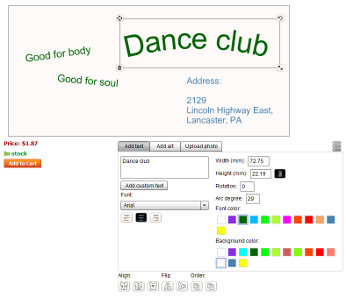 By purchasing Sticker designer software you should accept terms and conditions of two agreements: CS-Cart license agreement and Product designer add-on license agreement. 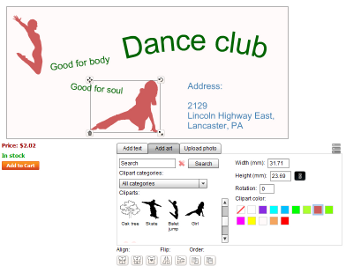 Buying Sticker designer software you will receive CS-Cart and Sticker designer upgrades for free during one year starting from the date of purchase. 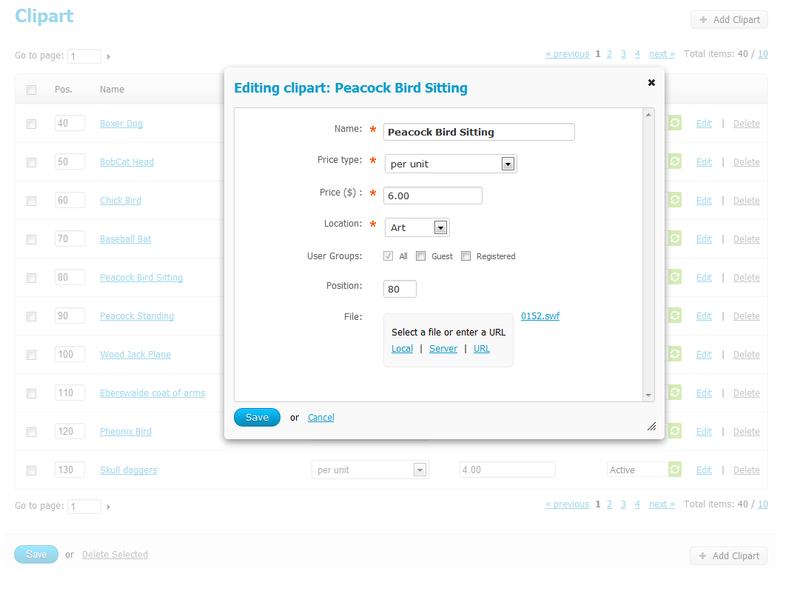 After that you can extend your access to updates for additional fee. Sticker designer software is based on open source CS-Cart shopping cart system, so source code of CS-Cart system will be available to you but we do not provide source code of Sticker design tool which will be installed into CS-Cart. 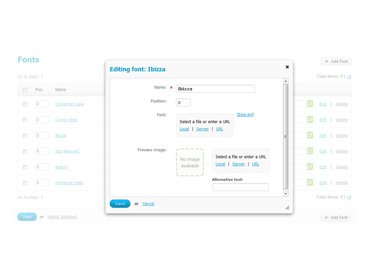 According to our policy a Customer can get a refund for the add-ons developed by «LLC Alternative» within 30 days of the date of purchase and only in case of purchase of the first license. 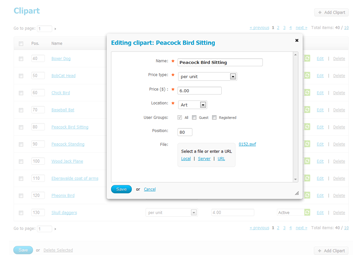 A Customer cannot get a refund for a second and subsequent licenses.